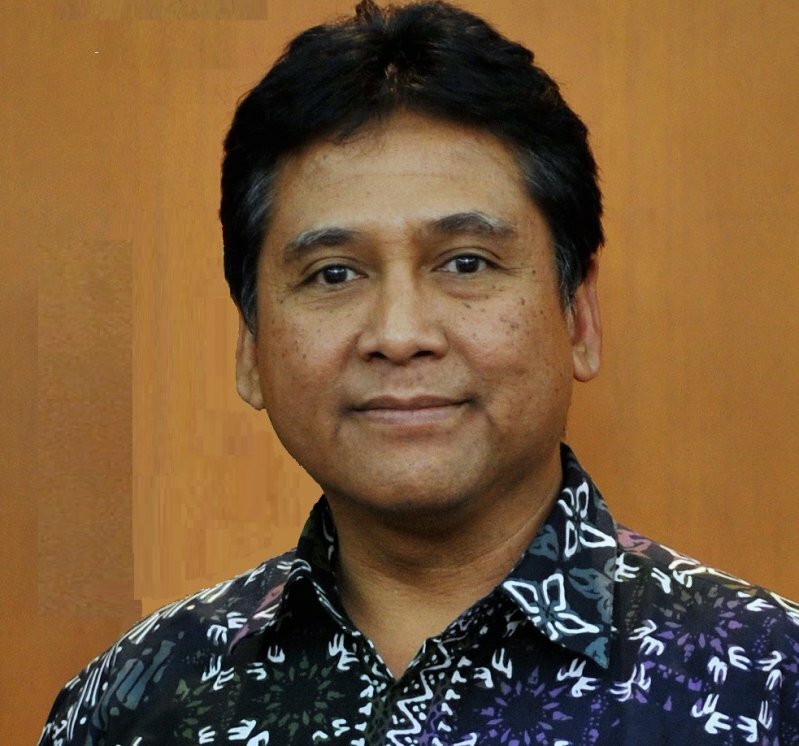 There are many who think the Indonesian Employers Association (Apindo) got it right when it named renowned businessman Hariyadi Sukamdani its new chairman. The 49-year-old scion has the background and clout to succeed outgoing chairman Sofjan Wanandi, whose name has become synonymous with Apindo. The Sukamdani family's business interests include hotels, textiles, media and other areas. Hariyadi is also a well known figure at the Indonesian Chamber of Commerce and Industry (Kadin), where he is a deputy chairman dealing with fiscal and public policy. His father, Sukamdani Sahid, was a pioneer in Indonesia's hospitality sector. The president director of Hotel Sahid Jaya International shared his views and plans with AmCham recently, highlighting his belief that labor productivity must improve to match fast-rising wages. On the other hand he expressed his curiosity over whether small to medium sized enterprises (SMEs) can afford to pay higher wages amid a tougher economic environment. "What has always been the problem is that the rising wage is not matched by higher productivity," Hariyadi said, adding that labor tends to associate the regional minimum wages (UMR) with the average wage they should receive. "UMR should serve as the safety net. It is completely different from the average salary, but then some workers argue they never receive wage increases higher than UMR even though they have worked for years. Then it becomes controversial, as it is now," said Hariyadi. Apindo, whose members include giant corporations such as auto distributor Astra International and consumer goods producer Indofood Group, represents the business community in a "tripartite" forum, and together with local governments and labor unions sets the UMR, which varies in the different regions of Indonesia. Workers have staged protest rallies demanding higher wages as they believe the cost of living ? including monthly rent, food and education ? cannot be covered by current wages. A major dispute occurred in Jakarta in December as labor unions protested Jakarta Governor Basuki Tjahaja Purnama's decision a month earlier that set a 12.5 percent minimum wage rise in the capital, compared to labor demands for a 50 percent hike. The approved minimum wage in Jakarta for 2015 was Rp 2.7 million a month; in 2014, the UMR in Jakarta was Rp 2.4 million. Hariyadi also unveiled his plan to conduct a survey on the compliance of SMEs with the minimum wage. The survey will be done together with the regional wage council, which sets the "decent living index," the basis for any wage increase. The council consists of regional government officials and labor union representatives. "We will scout through the areas where many SMEs are located. I believe 70 percent of them do not comply with the UMR. Why? Because their margin is so thin already," he said. Hariyadi said the survey results are likely to be announced in March. "This will be a major finding. If many don't comply, then what does it tell us? There's something wrong in this country," he said. Hariyadi's predecessor, Sofjan, frequently told the media that the impact of higher wages was not just felt by the local business community. Sofjan was quoted by Bloomberg in December as saying that some investors, including from Taiwan and South Korea, have relocated factories to countries like Vietnam, Bangladesh and Cambodia that offer cheaper wages and where workers have fewer demands. Another issue highlighted by Hariyadi is the new government policy that requires employers to enroll their employees in the new universal health care system, known as BPJS, starting January 1. "There is a potential problem that companies will have to pay double for health insurance for their workers," said Hariyadi. He added that the government must settle the benefits for BPJS because "employees could actually receive better benefits from private health insurers they are enrolled with now. "This will become another polemic," he said. "Companies can cut their spending to private insurers, but then if employees complain about the lower service standards, we will be accused of breaching the work agreement. But if we don't comply, we can be criminalized." BPJS should cover health coverage for outpatients as well as hospitalization, but this facility can only be enjoyed in some appointed hospitals and health service providers. Hariyadi also said that the Indonesian business community, just like in other countries, wishes to contribute to the domestic economy. Therefore, he called on the government and labor to join hands in dealing with the current tougher economic conditions, where growth is expected to be slower and companies have to cope with higher interest rates.